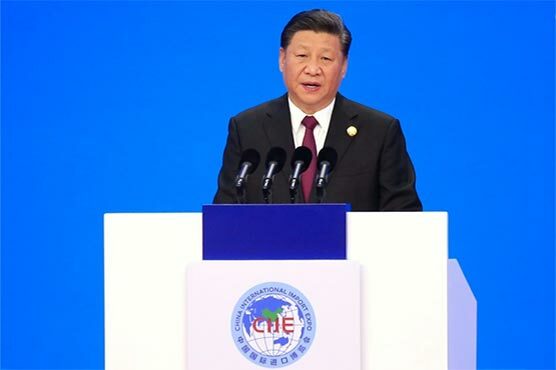 SHANGHAI (DNA) – President Xi Jinping on Monday pledged to widen access to China’s economy, while delivering a veiled rebuke to Trumpism, as he kicked off an import fair amid growing foreign accusations his government was backtracking on grand reform promises. Xi said China would “step up” efforts to stimulate imports, lower tariffs, ease customs clearance procedures, and implement harsh punishments for intellectual property infringements. He added that China would endeavour to “foster a world-class business environment” and that China’s doors will open “ever wider”. But he also pushed back at foreign pressure in comments clearly aimed at Donald Trump, who has started a trade war between the world’s two largest economies. “They should not just point fingers at others to gloss over their own problems,” Xi said, decrying “protectionism”, “isolationism” and confrontation.